When it comes to diversity in the workplace, race, gender, and cultural background are often the first attributes that pop into one’s mind. Yet there is one other aspect of diversity that often gets overlooked but is equally important: age. Thanks to greater life expectancy, it is not unusual for a company today to have a workforce made up of five generations of workers. Thus, when it comes to age diversity, it is critical for organisations to understand and address the needs of an age-varied workforce and to provide an employee experience that proactively caters to these various needs. According to Willis Towers Watson’s Global Workforce Survey, base pay and salary, and job security are the top attraction and retention drivers for workers across almost all the age groups. And the commonality stops there. Career advancement and opportunities are key considerations for millennials. Younger employees prioritise the opportunity to learn new skills while mature employees value stability. The older workforce tends to value relationships with their supervisors and managers and see this as a key factor contributing to job satisfaction. These findings are not surprising as our needs and expectations change when we grow older and move to a different stage in our career life cycle. Millennials and older workers above the age of 55 are generally perceived to be more challenging to engage than the other age groups. However, our employee insights global data in 2017 debunks this myth and shows that on average these groups are more engaged, more satisfied with their jobs, and more positive about training opportunities. It is critical that organisations understand the unique needs of a diverse workforce and avoid making broad, sweeping generalisations biased on age. Indeed, within a wide generational group, the needs of employees are also different based on other factors such as tenure with the organisation, job type as well as job level. 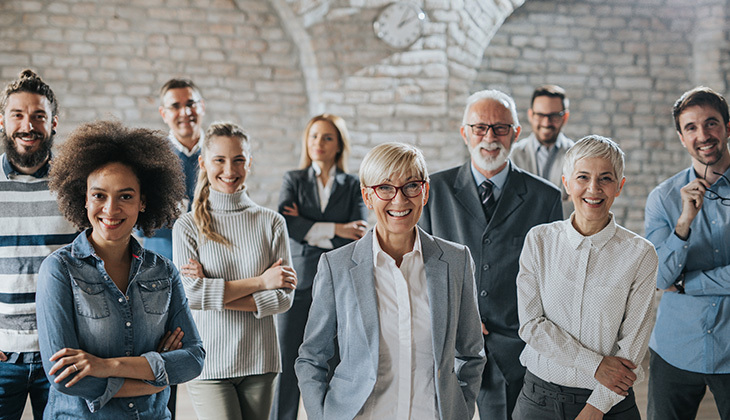 There are some observations that all organisational leaders can take note of and watch out for to create a more harmonious and productive workforce with an age-diverse group. Firstly, emphasise fairness. It is one of the most important factors of being a trusted employer, especially for Generation Z. Employers should have a strategy in place to ensure fairness such as listen to employees’ voice, particularly in issues of pay and promotion opportunities. We suggest specifying clearly the duties to establish accountability and to leave no talent opportunities behind. Secondly, review your company’s values from time to time to ensure that the tenets still hold true. Your company’s core values and beliefs should be written down and clearly communicated to your staff. The values should be the result of a two-way discussion with everyone in the company – regardless of ethnicity, age and gender – and should not be merely handed down by senior management. You should also curate stories to bring to life the agreed values and make the stories accessible to everyone. Thirdly, take diversity to the next level. Millennials and Generation Z-ers are some of the most diverse and inclusive generation. Companies can take advantage of this and use this diversity as a starting point – the combination of skills and input from all team members can deliver discretionary work or positive outcomes. Fourthly, find a common ground among diverse employees. To effectively develop a working relationship within a diverse group, you need to find similarities among your people. One of the ways is that you can run scenario-based dilemma-reconciliation workshops for employees to share their values and to openly talk about their approaches in handling interpersonal situations that challenge their deeply-held paradigms. Lastly, considerinclusion and diversity in your business growth strategy. When you enhance your products, build a distribution line, or expand your digital marketing, you should structure a diverse team to brainstorm and execute the plan for success. Leaders must shift to this mindset for positive impact on business. In conclusion, age is one dimension in the diversity puzzle but is often easily overlooked. Including age into a diversity strategy could be key to help to bolster employee engagement and overall productivity.